The Comforter is the first bubble bar I've tried from Lush and is one of the products I've been reaching for on these chillier nights to create a relaxing bubble bath. 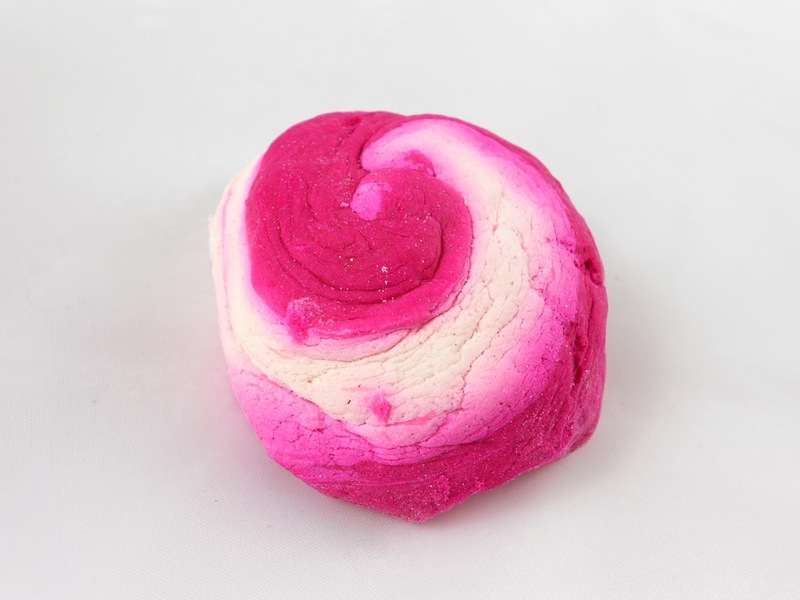 The Comforter is quite a large bar (according to Lush it's twice the size of their other bubble bars) with a pretty, raspberry ripple design. It contains bergamot oil to "relax, reassure and revive a worried mind" and cypress oil to calm. The Comforter's featured ingredient is cassis absolute, which is blackcurrant, for a "warming, relaxing aroma". To use The Comforter you hold it under the tap in the running water to soften and gradually crumble bits of the bar into the bath. 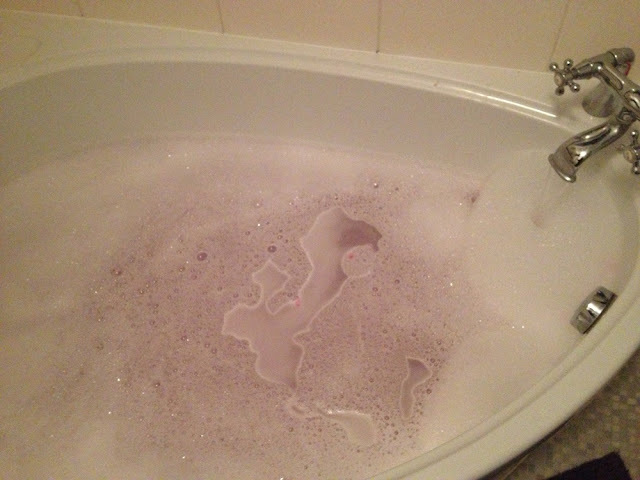 This creates the bubbles and also gives the water a pink tinge. Depending on how much of the bar you use will obviously depend on how bubbly your bath is - I've used it 3 times so far and I think I will get another 3 uses of it. I love the warm berry scent, which isn't overpowering and does make me feel nice and relaxed. As with the other Lush bath products I've tried, The Comforter doesn't dry out or irritate my skin; I'm just left with a lovely lingering scent for a few hours once I'm out of the bath. The Comforter costs £4.25 and can be viewed on the Lush website here. 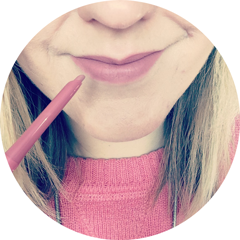 It's not the best value for money when you consider the number of uses you get from the product, however it's something I would re-purchase as the occasional treat. What's your favourite Lush bubble bar? I'd love to try this one even if it's not the best value for money, just looks so cute and girly! I love this bubblebar the smell alone is enough for me! I bought this last week and I'm really looking forward to trying it. The smell sold it for me, yum! I got this for my birthday and I'm yet to try it! I'm looking forward to it after reading this!